So Lürssen has called two renowned designers to rebuilt Kismet 95m Yacht and then adapt the owner’s desires to the new dimensions. And we can say that these two talented men have perfectly answered his needs. 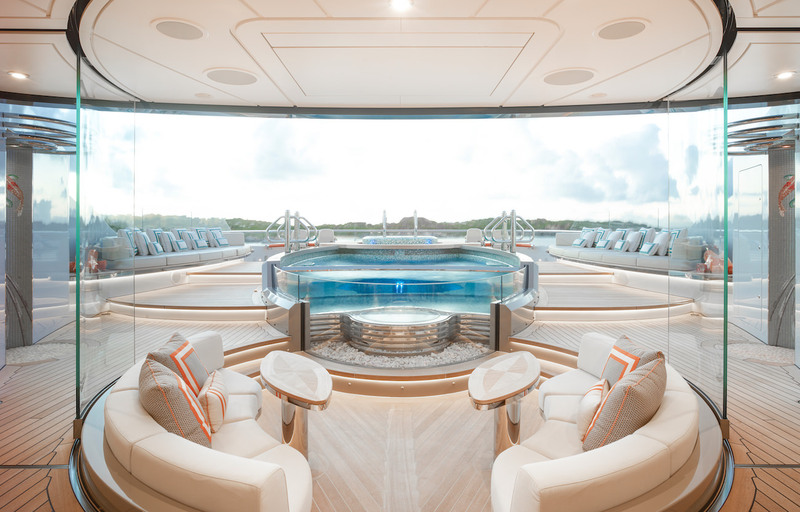 Indeed, each deck on Kismet 95m Yacht possesses many entertaining possibilities: a daybed to observe the stars on the sundeck, but also a pool and Jacuzzi to savour the night show, and all of that on two floors. You can also find an outdoor BBQ and two helipads around, and one of them can be transformed into a basketball field for amateurs or pro players. The perfect place to organize outdoor parties! 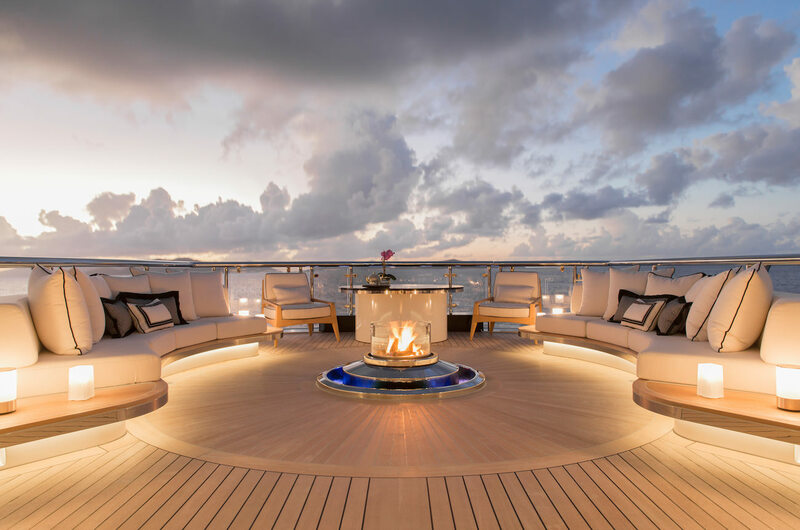 On Kismet 95m Yacht’s Main Deck you can dine with the sound of the waves, close to the outdoor firepit and the waterfall. The sliding glass doors that surround this dining space can then form a little garden to resource. Little unusual bonus: an exceptional jaguar sculpture that adds a touch of modernity on these very elegant decks. And if the owner wants to retreat on his personal deck far from his guests, he can also relax in his private Jacuzzi above the main spaces. Cherry on the cake, Kismet 95m Yacht is also equipped with a stabiliser that will never disturb your relaxing moment, whether it is on the water or when the yacht is anchored. 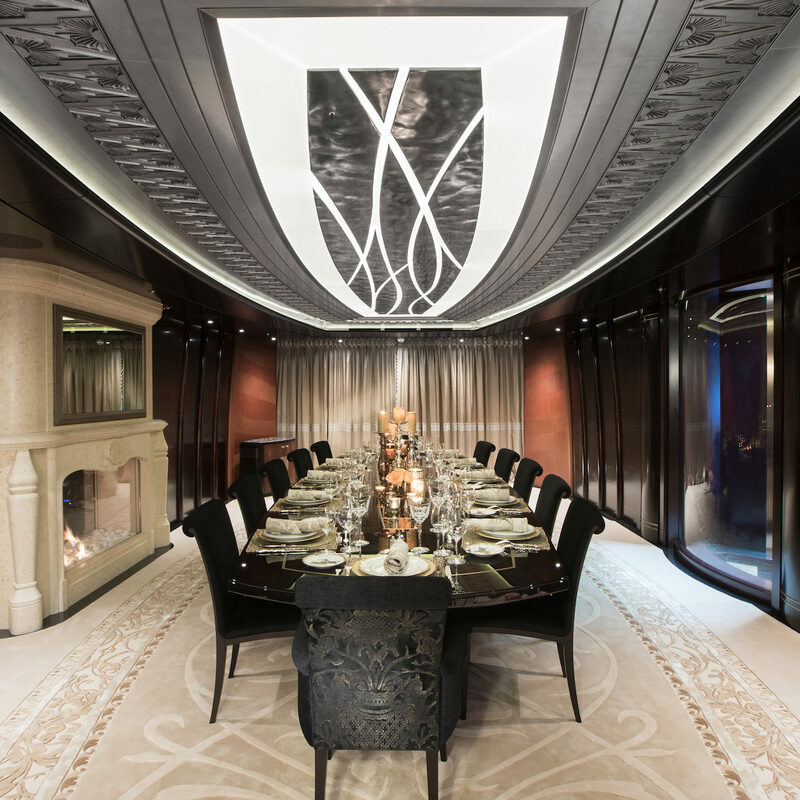 Alike outdoor spaces, indoor ones should adapt to new Kismet 95m Yacht’s dimensions. 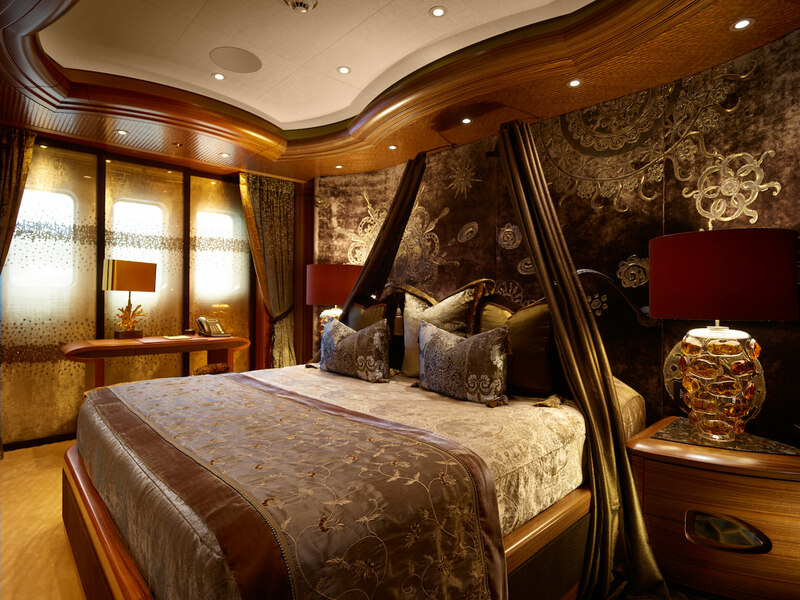 With 50% more space the point was to connect indoor rooms with the different decks and never fail the life aboard. 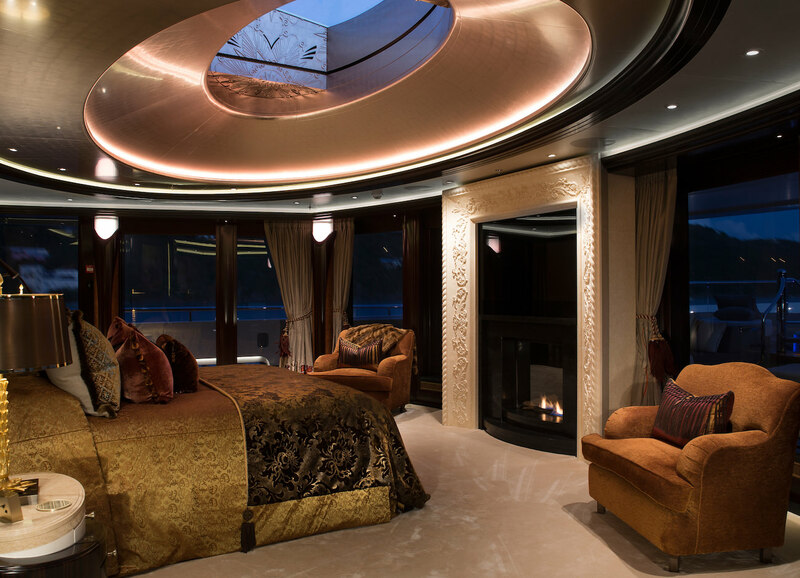 Depending on the owner’s needs, Kismet 95m Yacht’s interior reflects his “Champagne & Caviar” vision thanks to golden metal and honey tones that contrast with subtle materials like leather, all together creating a luxurious and warm atmosphere. 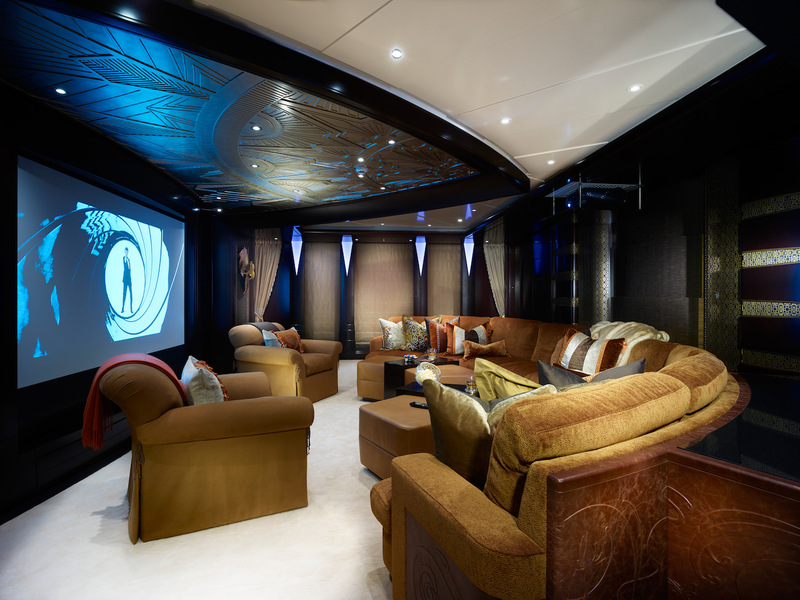 The playroom was built on two decks in an “Art Deco” spirit, with two impressive video walls, a reception and lounge space as well as a sports room. This one can be turned into a cinema room whilst the upper part of the room offers a more intimate space around a living and dining room. Then a fireplace and even a grand piano mark each ambiance for the lounge. Around the different decks, sliding glass doors allow to reduce spaces on Kismet 95m Yacht and create private rooms as the materials remain the common point between them like wood, stone and leather. 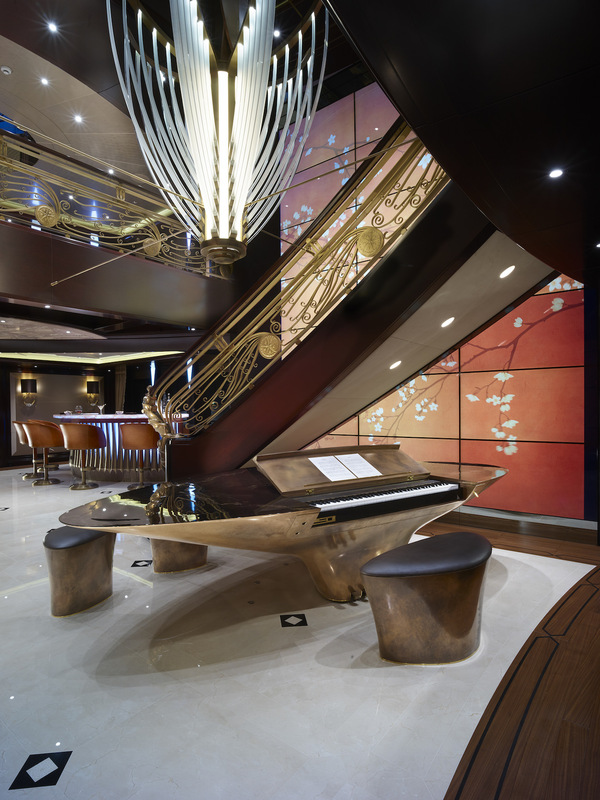 On the Bridge Deck where the “Beach Club” is located, you can easily create a night club for a few nights after what the guest rooms invite them to discover the Art Deco spirit through Japanese themes plus two VIP Art Nouveau suites. 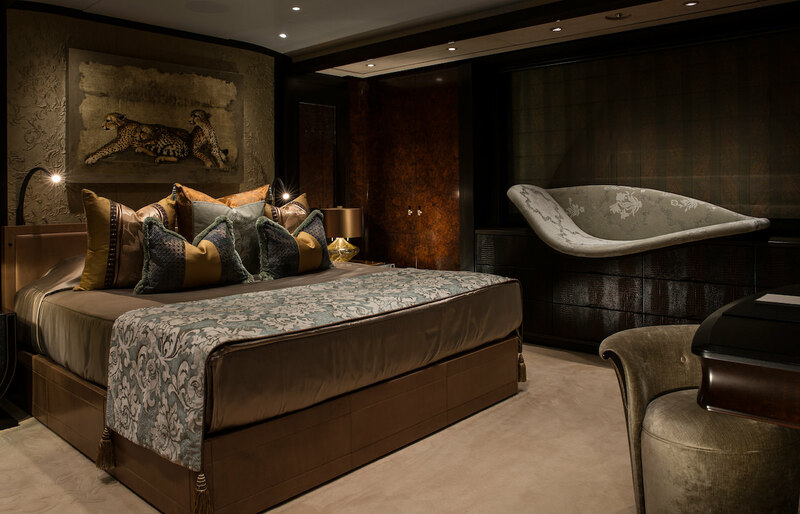 Concerning Kismet 95m Yacht’s owner, he has his own spaces on the upper deck in a more relaxing and peaceful ambiance with a romantic theme inspired by Coco Chanel. With such impressive dimensions, the suite has a fireplace at the end of the bed and a striking bathroom for unparalleled intimate moments. He also has his own office and separate lounge on his deck. 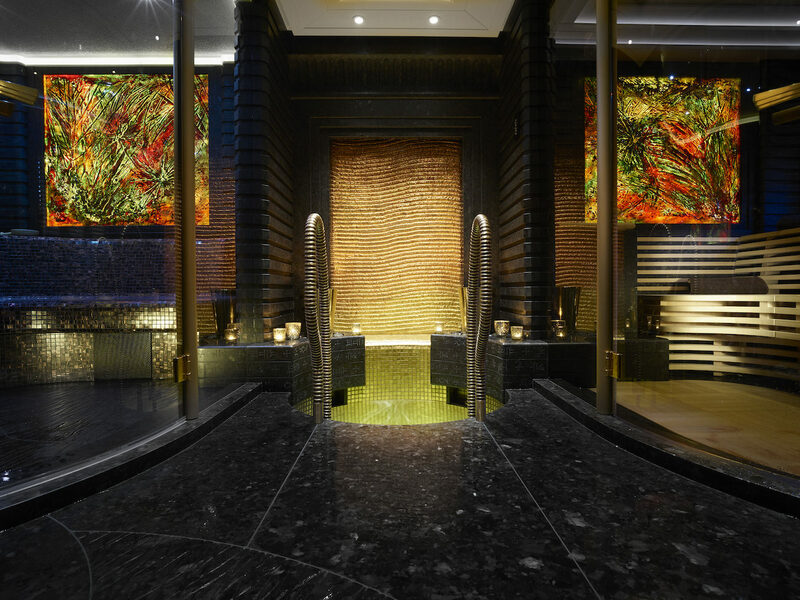 But he still can find his guests again on the lower deck to enjoy the spa, the beauty salon and the gym with them! So Kismet 95m Yacht is truly a successful bet as its owner is more than thrilled to navigate with such an amazing vessel and discover the world’s most beautiful seas with his guests! Share the post "Kismet 95m Yacht: a successful makeover to create the most entertaining yacht ever"